Offer valid 16 and 23 November 2018 only. 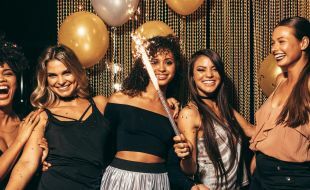 As another year draws to a close, it’s time to think about where your office party is going to take place. Spoil yourselves with decadent food in a stunning setting and celebrate the successes of the year. From R195 per person in Yizani restaurant. A member making use of a Tsogo Sun owned restaurant in South Africa does not have to be staying in the hotel to receive their discount or to redeem SunRands on Food and Beverage at Tsogo Sun owned restaurants. Food and Beverage discounts at Tsogo Sun owned restaurants in non South African Tsogo Sun hotels will only be provided if the guest is staying at the hotel. Discounts apply to a maximum of 8 guests, per member, per seating. 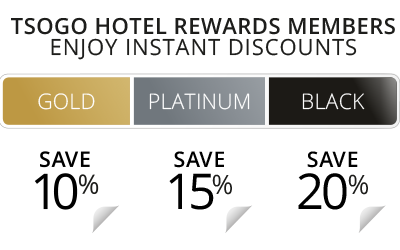 No double dipping of discounts will be allowed should the member be in possession of more than one Tsogo Sun Rewards card or have a discounted benefit through any other rewards/loyalty programmes. Discount is applicable to bills paid by the member and member must be present. Discount will be verified by members swiping their Rewards card. In the event that the member is not in possession of a physical card the member must supply their card number to obtain the discount. Members will then be required to authorise transaction by providing their PIN number.